Known to the world for the famine many decades back. A lesser known fact is its perhaps the only major African country never to have been officially colonized. That is not to say it did not have to endure the effects of colonial aspirations in its many forms which did leave an indelible mark on the rich tapestry of this proud nation. It is the only African country though that successfully won a war against an European colonial power and the first African independent member of the erstwhile League of Nations. Subsequent African countries on independence adopted the Ethiopian colours into their national flags to mark this greatness. Mark Twain had once, on coming back to New York, made this famous observation: “It’s not quite what it used to be and it appears decidedly better than when I was here last.” In true Twain honesty, he had wondered whether his going away had something to do with this progress as well. 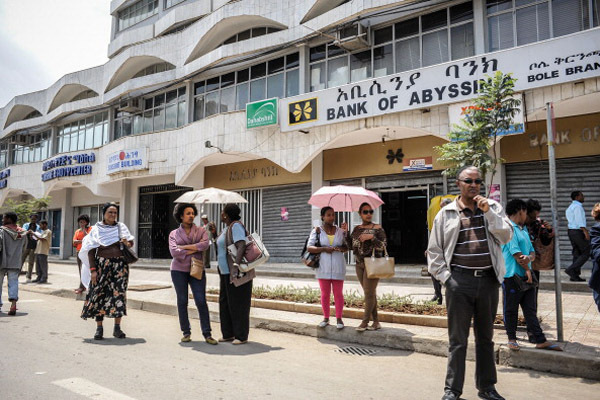 I went to Addis Ababa last week after a gap of two years. I got reminded of Twain for understandable reasons. The airport was still an unholy mess. Large, rustic, disorganised and derelict. Yet, it was attempting to become the future aviation hub of the region and Africa. And Ethiopian Airlines does fancy itself. Its branding makes people believe in its service and promises. A bit like the rest of the country really. It is, after all, Sub-Saharan Africa’s largest country in numbers after Nigeria. The key sectors remain in the hands of the government or are restricted (example banking) with stringent local ownership rules. Despite being the main source to the world`s longest river, The Nile , a rather horrible legacy of a world famous famine pervades and an even more horrible legacy of deposing its own monarch and then being ruled by the junta and its ‘red terror’ haunts the nation even now. So why do people love Ethiopia? The culture is rich, but not terribly well-marketed or understood. The people do look marginally different from their African peers but that’s hardly a big deal. The government is improving, but not overly private sector friendly. The population needs things, but the purchasing power is still abysmally low. The need for access to basic goods and services exists, but non-existent roads and rail roads are a major obstacle. It does not, unlike its African counterparts, have promises of large deposits of oil or minerals either. And I found the answer in the people. As always, I suppose. A steely determination from the masses to rise, work and make things happen. An eerie focus around maintaining one’s food and culture amidst so many influences. A quiet determination in sharing it with visitors with no specific pride or consciousness around it. Friendly people who don’t seem to harbour too many grudges about the world or their ruling elite. Instead hope pervades and optimism rules in everyone. If patience is a virtue, then the country is perhaps the most virtuous country. That is why I remain enamoured with my host Getu’s efforts to park the car in a busy Addis street exactly between two vehicles to make sure it was aligned and left space for another car to squeeze in. A self-imposed discipline to make one’s lot better and to not be unfair to others in the process. At the breakfast area of the hotel I was staying in, I felt the buzz of its political muscle as senior diplomats, including heads of states and their entourage, were discussing and conclaving around the rather tricky issue of peace in South Sudan. Not in London, not in New York, neither in Johannesburg. Instead in Addis. African leaders sitting and speaking to each other in their own territory without the prying eyes of Western media and more significantly without the ‘helpful’ hand of global powers. It was a sight to behold and cheer. A generation of peace-makers, who till a few years back, were actually fighting it out in the jungles and killing each other. Now having given up their camouflage clothing and instead donned suits which are flashy and uniformly ill-fitting, but reflecting the new pride of the continent. The penchant for food and alcohol was in evidence too as those war veterans showed ample gluttony signs at the buffet and at the well-stocked bar in the evening. Conspicuous by their absence were the ladies in these groups. Indicative of the many ills that African society still will have to confront. Equal rights and human dignity, both need a lot of work. But the pleasing scene was the politeness and the punctuality with which these leaders were going about their business, convinced that they could get things done and done their way. A true signal of self-sufficiency and the African renaissance perhaps, albeit green shoots of it? It was winter, which means all of 15 degrees. Yet, the locals were wearing heavy woolens and the business people I met drove in wearing overcoats. Illusions may be of some sort of misplaced grandeur, but the message of dressing up for the role manifested in its exhibitionism. There are roughly 60 new hotels on the go in Addis with 20-odd built in the past three years alone. Yet, there are no modern hospitals even as the medical service croaks and creaks. The university building, a once-proud edifice, totters both in its physical and faculty strength. Another little sign of misplaced priorities is the fact that Addis was a destination and firmly in the corporate and political map of Africa. The world is keen to engage with and at Addis. So, the future can only be bright, as long as hubris and nepotism is gently nudged away by entrepreneurship and rule of law. The city that is home to the African Union cannot afford to ruin its own backyard. The people I saw are realists and love their country and believe in their future. Peaceful, quiet, persevering and ambitious. In my own way of looking at things, I have come to learn that the way people drive is often a dead give-away of the national characteristic. A trifle unscientific maybe, but uncanny in my experienced eyes. And in Addis, they don’t honk, they don’t overtake recklessly and they don’t rush. They let things flow and work with the mayhem around them and the silliness of the traffic cops that would upset many a person from my part of the world only receives a disdainful stare. And no, I didn’t see it as a sign of resignation. Instead, I saw it as a sign of social maturity and an acceptance that change takes time and patience is a virtue to bring sustainable change. Let’s hope their leaders, like in so many frontier markets, do not betray them. The world needs Ethiopia to realise its dream as it’s too important a nation to fail in that continent. It’s a country that yet again needs to show the sensible and proud ways of Africa to emulate and surpass hopefully.